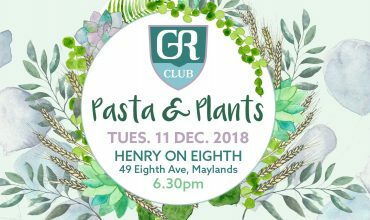 We are giving our GR clubbers and fellow pasta lovers the chance to WIN the ultimate pasta prize!! In the next 3 weeks, we will be posting a selection of 6x Golden Ravioli recipe videos on our Facebook page. You will have the opportunity to win the delicious Pasta Fresca variety featured in each recipe, paired with a Tenuta Fragassi sugo and Valledoro rustici grissini sticks courtesy of Genobile Brothers! Each week, we will announce 2x lucky winners from the 2x recipe videos posts. At the end of the competition, the total of 6x winners will then go into the draw to WIN the other 5x featured Pasta Fresca varieties! A pasta lover’s dream! 1. Simply like your favourite GR recipe video post. Just a heads up – there will be 6 recipe videos in total! 2. Comment by answering our cool quiz questions – there will be one question per video. 3. Bonus points will be awarded to those who subscribe to the GR YouTube channel. There is no limit on the number of entries; if all 6x GR recipe video posts happen to be your favourite, like and comment in reply to all posts for more chances to win! 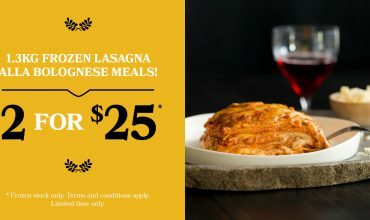 The winners will be selected from our GR Club members so don’t forget to jump on the mailing list at www.goldenravioli.com.au To increase your chances of sharing in this fabulous prize make sure to get your friends involved, so tag away! The first video and quiz question will be released on Monday 23rd July. Good luck everyone! Competition duration: 3x weeks: Monday 23/7 – Friday 10/8. Weekly competition deadlines: Friday 10am of each week. Winners announced Friday afternoon of each week. The grand prize winner will be announced on Monday 13/08/18. Each winner will be notified by email, with times to pick up the prize pack from Golden Ravioli, 4/256 Fitzgerald St, North Perth. Facebook fans can enter more than once. To enter, participants will be asked to LIKE the photo and COMMENT the answer to the quiz question in the comments section of each post. Golden Ravioli Facebook fans can enter every round of the competition; 6 chances to win! The six winners will receive a Golden Ravioli prize pack (to be picked up from Golden Ravioli, 4/256 Fitzgerald St, North Perth a week from notification, unless stated otherwise).